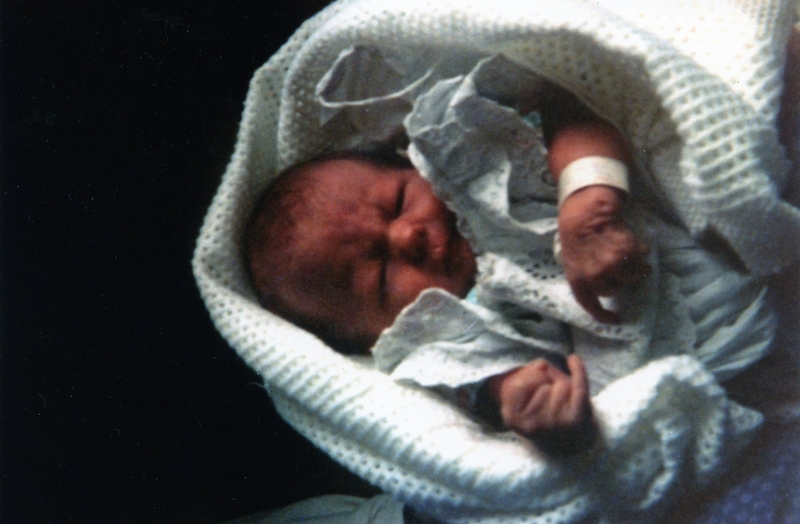 On September 1983 our baby was born and diagnosed with Edwards Syndrome. I remember every detail of that day- how I had been brought in by my obstetrician, as the baby was overdue, the large amount of fluid when they broke the waters which was, to a well read pregnancy mother a bad sign to the fact that when she was born her birth weight was only 6lbs; much lower than any of my four other children. Laura was baptised in the hospital before I went home and stayed for a few weeks there before being moved to a different hospital with an infection and then on to a children’s hospital. Because of her feeding tube Laura was prone to infection and was in and out of the children’s hospital frequently and it was there that she died on the 18th of April 1984. The diagnosis was not made immediately to my husband and myself but they said they would have the paediatrician look at her in the morning after her birth but we knew something was wrong. The following morning, after a long sleepless night, I was brought into a small room with a small stool in the corner and told bluntly that she had Edwards Syndrome and would not survive more than a few months and he recommend we put her in St. Michaels House and although he didn’t say forget about her, that is what was implied. The paediatrician left me alone on the stool. I think a nurse came in later and brought me back to the ward. The doctor and nurses in the children’s hospital were very helpful. They showed us how to tube feed her in order to bring her home and just before Christmas we brought her home. She was the centre of the house for the one Christmas she was with us and we have photographs of that time. Laura didn’t thrive in her several months of life but she was part of the family and still is – 2 of my daughters called their daughter after her and those small children know about her. Talk to someone like me or any other person who had a baby with Edwards Syndrome, I found this helped me. The staff at the children’s hospital were very helpful in showing us how to care for our daughter.